Oh no! 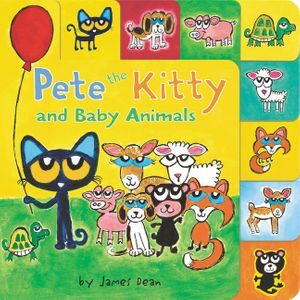 Pete the Kitty has lost his red balloon. Help him look for his balloon in this fun tabbed board book. Along the way, Pete makes some new friends when he meets other baby animals. Toddlers will love going from tab to tab and learning the names of baby animals, such as puppy, piglet, hatchling, and more.